Almost Solo (2009) is a sound sculpture born after traveling for two months in northern Europe, heading towards Estonia, for and artistic residence in the village of Mooste at MoKS studio. The only company during this solitary tour was the double bass, played in several concerts along the road. 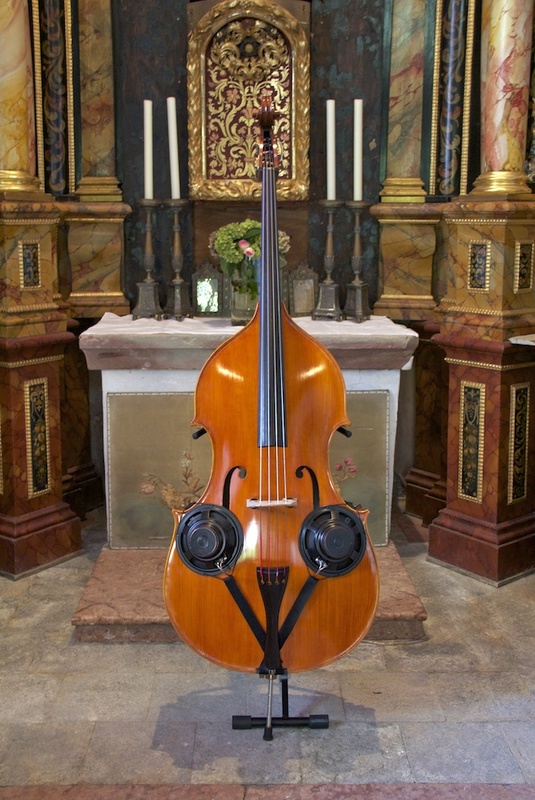 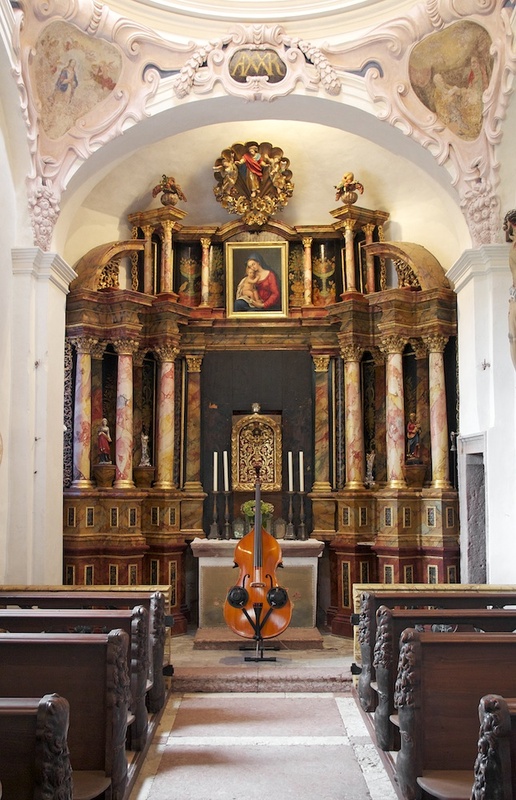 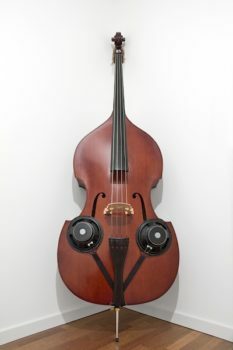 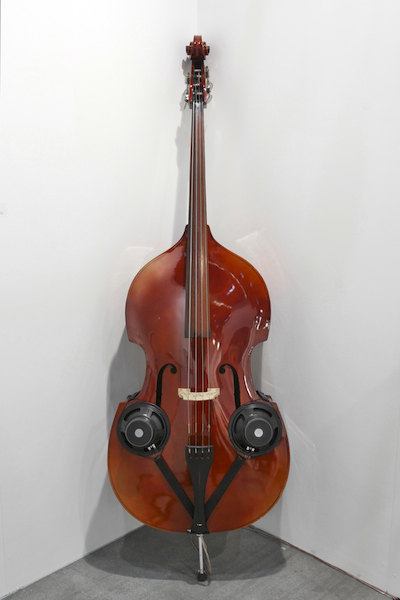 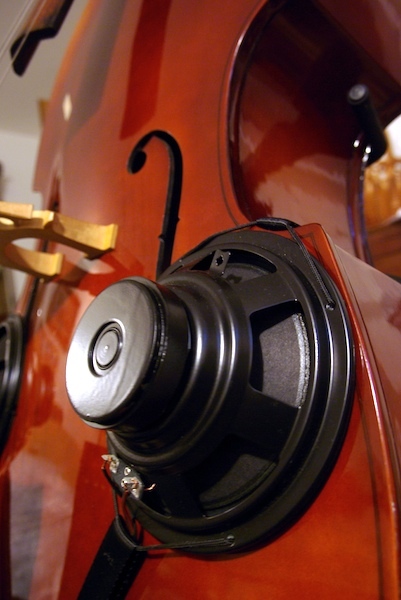 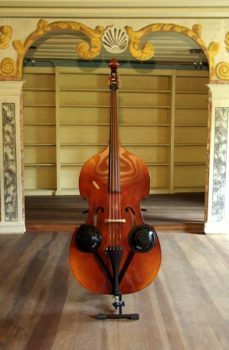 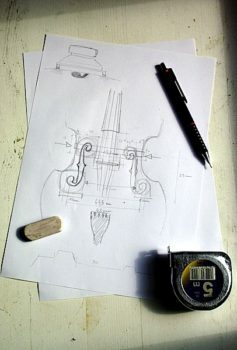 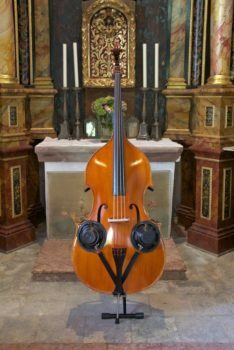 Then came the idea to fix a set of loudspeakers on the instrument to let the voices and field recordings gathered along the road resonate through the body of the double bass, making the instrument their soundbox, to play them back as if it had absorbed the sonorities of those experiences during the trip. 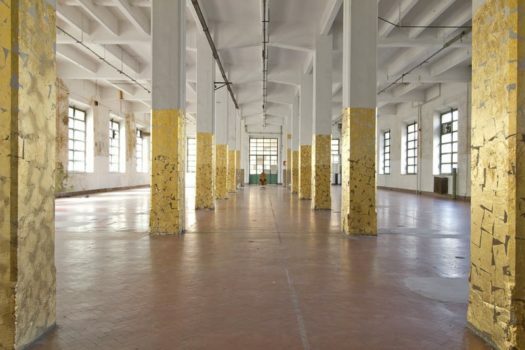 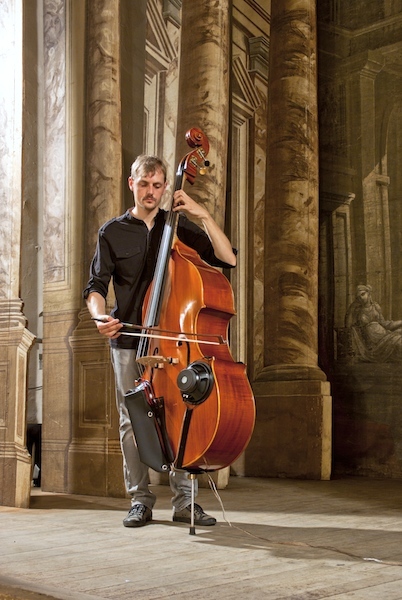 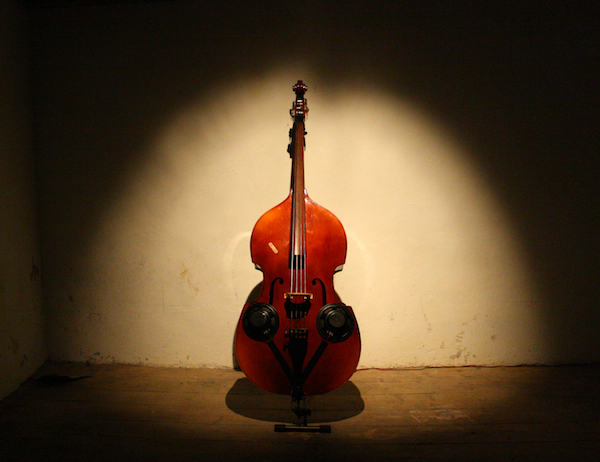 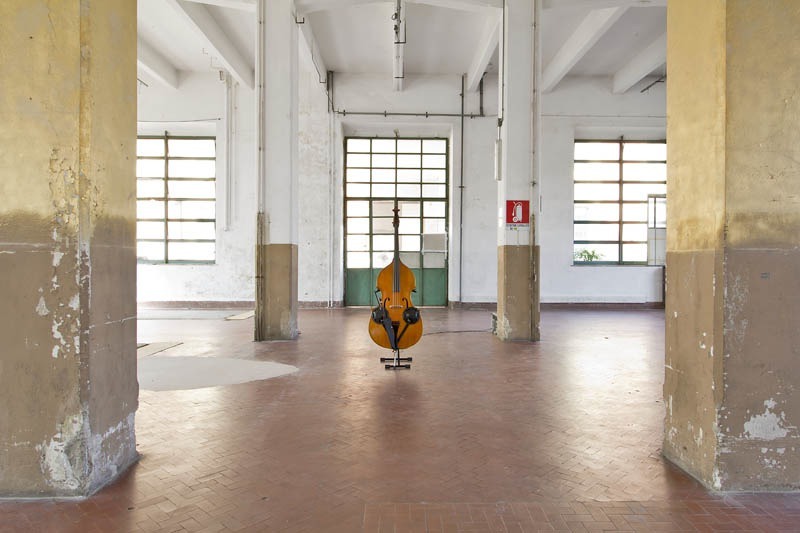 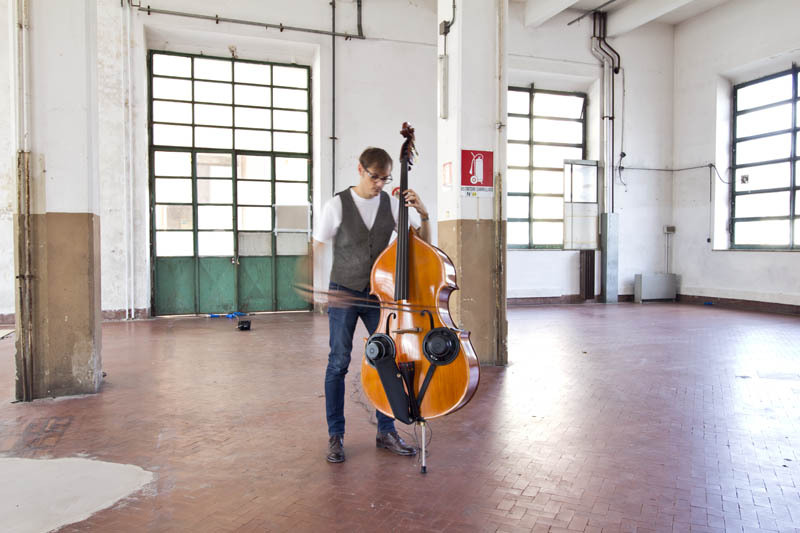 Almost Solo was also developed as a performance in which the artist plays the acoustic double bass while the sound diary is reproduced by the loudspeakers, thus creating a double stratification of sounds (live sounds and recorded sounds) that is mixed by the vibration of the instrument. 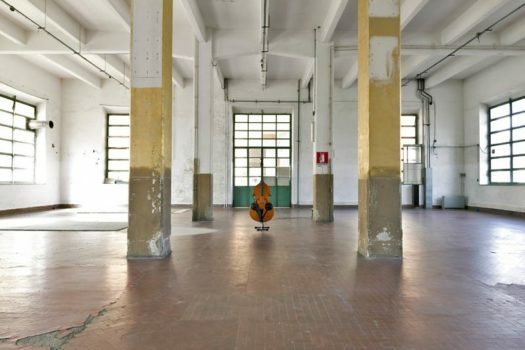 Therefore this is not a real solo performance, intended as soliloquy, but rather a musical dialogue with distant places and memories of the trip.